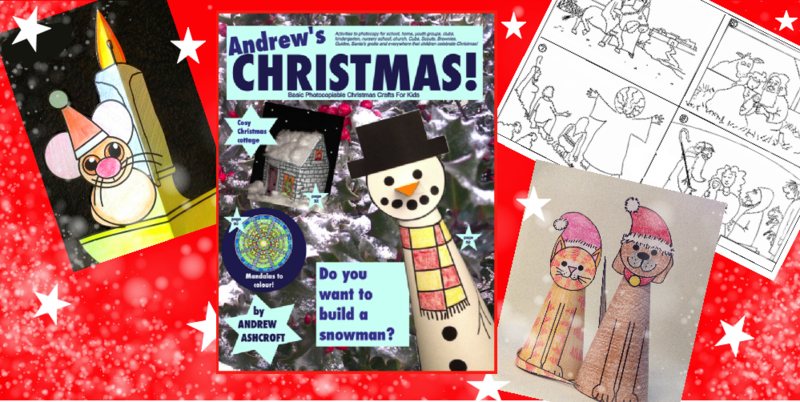 Need some easy ideas for Christmas crafts with kids? Here it is! A cheap early present for you or someone you know who needs it. There are traditional and modern themes. The children will be able to make cards and decorations, work out puzzles and colour pictures. Just throw it on the photocopier and at least part of your Christmas is saved! All you then need is enough scissors, glue (especially the stuff that looks like a big white lipstick) and colouring pens or pencils to create a low-maintenance Christmas Wonderland. Available now, all round the world on Amazon!